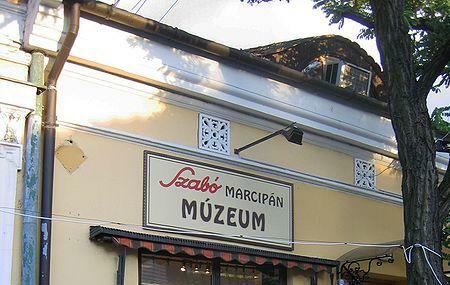 Szabo-Szamos Marcipan museum was the coming together of the two of the greatest minds of the time. This museum was a product of the joining of these two in creating a complete confectionary treat for people who are fond of the field. There are two floors of this museum. The top floor has an exhibition that gives an insight into the rich history of the confectionary industry. The real treat is on the ground floor where a lot of pastries, hungarian wines, goose liver, unicum, paprika and brandies can be picked up. Hire a taxi or car. How popular is Szamos Marcipan Muzeum? People normally club together Katalinpusztai Kirandulokozpont and Magyar Golf Club while planning their visit to Szamos Marcipan Muzeum. What a great delicious place! I wish I had bought more sweet souvenirs there, it was the best marzipan I have ever eaten. Szamos is a must visit place with kids. They sell exellent cakes and very good ice cream. Only possible issue is that it is sometimes overcrowded during tourist season. The museum and gift shop parts are nice. As for the cafe nextdoor the prices are just like everywhere else in town (coffee or hot chocolate is around 600-800 Ft) but they do have a 15% service fee. Also the toilet costs 200 Ft which comes off at the end of the bill. Really awesome marzipan sculptures, but the museum is more of an exhibition! It's affordable and worth a visit, if you are only interested in looking around for a little while during your walk. The products on offer at the store are pricey, at least compared to downtown Budapest prices, so it's not really worth getting your marzipan gifts from there.